TCO 5—Given a simple business problem that requires iteration, create a solution algorithm that employs loops. TCO 7—Given a simple business problem that requires simple data structures, design, code and test a solution algorithm that uses arrays. Arrays are incredibly fun! 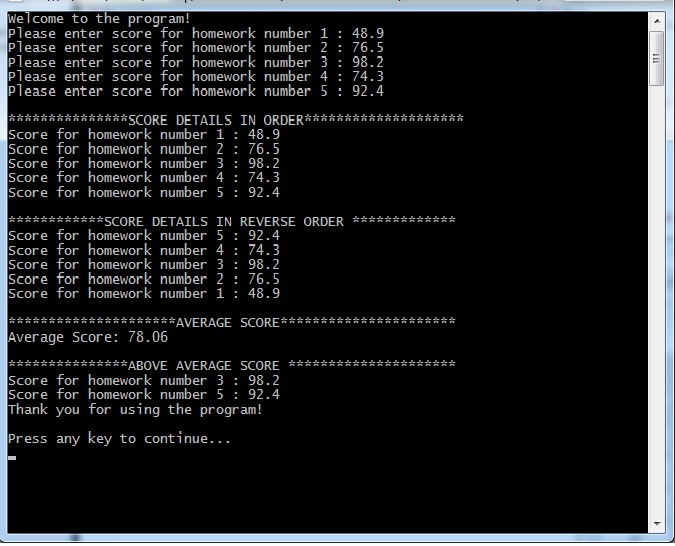 Today we are going to work on a program to keep track of our homework scores for a math class. 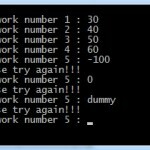 Write a program that accepts five homework scores as input values and stores them into a table (which is another name for an array). Once the scores are in the array, we can process them again and again. 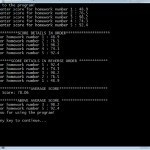 First, load the scores in your array. Second, display the contents of the array in order. Third, display the array in reverse order. Fourth, calculate the average of the five scores entered in the array. 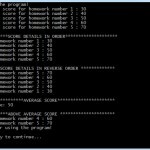 Finally, the algorithm should display all the homework scores in the array that are larger than the previously calculated average. Make sure you use some output statements to clarify all the details you are displaying, being cautious about spelling and communicating to your user. 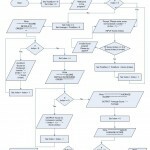 Be sure to think about the logic and design first (IPO chart and/or pseudocode), then code the Visual Logic command line processing. 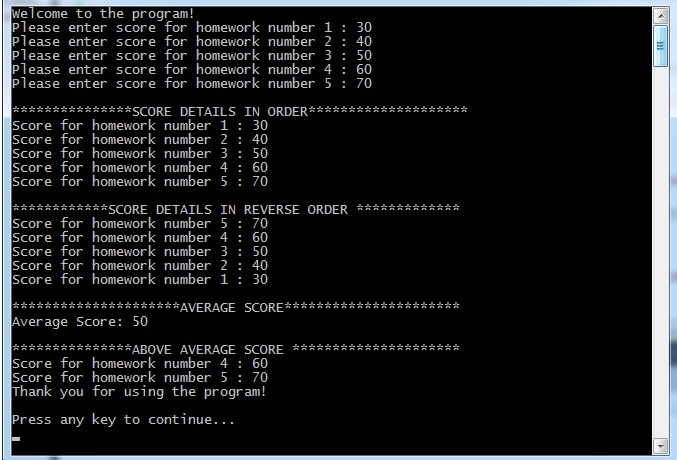 Paste a screenshot(s) of the complete working program here. Use test scenarios to test all possible paths of execution: You may have to design additional test scenarios to make sure you have tested all possible paths of execution.